Postnuptial Agreements for Married Couples? As people grow, mature, and experience life, their mindsets may change. A young couple may get married without giving a prenuptial agreement any thought. A few years down the road, once marriage has set in, one or both spouses may wish they had considered a prenup. The only problem? They’re already married. So what can a couple do? Is it too late to get that legal protection in case a divorce or untimely death happens? The answer is no! Postnuptial agreements are more common than you think. A postnuptial agreement is exactly the same as a prenuptial agreement. The only difference is that it is created after the marriage has already taken place. It also allows for a more current valuation of the assets the couple has. Although the state of New York already has a set formula for dividing property during a divorce, the courts treat most divisions outlined in a postnuptial agreement as valid. Having the postnuptial in place will avoid having the courts decide who gets what. It is important to handle this situation as fairly as possible. A postnuptial agreement is designed to provide comfort for both people involved and should not be used as a way to take away protection from anyone. Children from a previous marriage. This is one of the most common reasons why couples get a postnuptial agreement. When there are children from another marriage included in the family, and the spouse that is not the biological parent hasn’t adopted them, a postnuptial agreement can ensure certain assets will go to the child in the case of death. A sudden inheritance. If one spouse receives a large inheritance from a family member during the marriage, and he or she wants to make sure it’s protected in the instance of death or divorce, a postnuptial agreement can be created. One spouse re-enters the workforce. When children are born into a marriage, one spouse may decide to stay home to care for them. When he or she re-enters the workforce, a postnuptial agreement may be created in order to secure his or her financial future. Sudden knowledge of debt. It’s sad but true. Many people enter into a marriage not knowing that their spouses are carrying a lot of debt. And that debt will be equally divided under New York law in cases when the spouse carrying the debt passes away. When this debt becomes known and one spouse doesn’t want to be responsible for it, he or she may wish to have a postnuptial agreement written. While postnuptial agreements are similar to other contracts, they differ in one very important way. Unlike other contracts, the two spouses named in a postnuptial agreement owe each other a greater duty of care. So while a business contract implies a standard duty of care, postnuptial agreements require "a fiduciary relationship requiring the utmost of good faith." This simply means that two spouses will be expected to treat each other better than they would other people, such as those in their business networks. Because of this, New York courts will expect that both spouses are treated equally and fairly in the document. If they are not, and a postnuptial agreement favors one party over the other, the agreement will likely be found null and void. This issue can be avoided by an experienced postnuptial attorney. The Law Offices of Paul A. Boronow, PC, have been serving the communities of Long Island and New York for over 20 years. Give our office a call today at (516) 227-5353 for a free consultation. One of our highly skilled Nassau County family law lawyers will go over your postnuptial agreement options and provide legal advice on how to move forward. 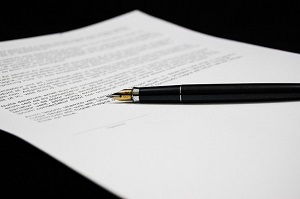 What Questions May Be Addressed in a New York Postnuptial Agreement? Nassau County Postnuptial Agreement Attorney Disclaimer: The legal information presented at this site should not be construed to be formal legal advice, nor the formation of a lawyer or attorney client relationship. Any results set forth herein are based upon the facts of that particular case and do not represent a promise or guarantee. Please contact an attorney for a consultation on your particular legal matter. This web site is not intended to solicit clients for matters outside of the state of New York.